Early morning balloon ride over Bagan in Myanmar. Europe might be river-cruise central, but the trend is shifting worldwide. In Asia, the Ganges is the new frontier to watch: I reckon you can expect some interesting offers there shortly. The Yangtze is well established, the Irrawaddy and Mekong showing strong growth. Many leading companies already operate on these three rivers, and CroisiEurope has new vessels on the Mekong and Irrawaddy in 2014, its first foray into Asia. Orient-Express launched Orcaella on the Irrawaddy River in Myanmar in last July, with seven- and 11-night cruises stopping at smaller towns not visited by its existing fleet. Pandaw launches another ship in Myanmar this year (it was to be two, but one sank off the Malaysian coast while being towed to Myanmar for deployment). Uniworld is offering a new 12-day ‘Treasures of China’ itinerary which, in common with most Yangtze cruises, includes land tours to Shanghai, Beijing and Xi’an. Zambezi Queen on the Zambezi River, Botswana. The Americas has a relatively modest river-cruises presence, but it has many interesting itineraries on the Mississippi, Columbia and Snake rivers. AmaWaterways (APT) begins operations with the Queen of the Mississippi in 2014 with three itineraries, such as a 13-day cruise from New Orleans to Nashville. Also new in 2014 is Avalon’s three-night Amazon cruise on board the 16-suite Aria, part of an 11-day Peruvian adventure that also takes in Cusco and Machu Picchu. 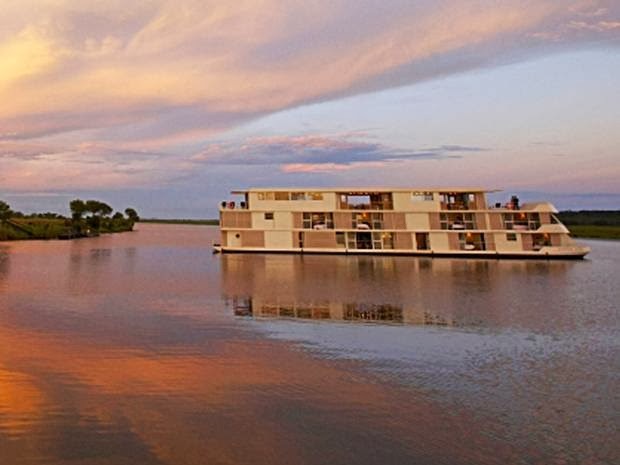 And AmaWaterways (APT) has more than doubled departures in Botswana on Zambezi Queen, which sails through Chobe National Park on a three-day safari (part of longer land tour) that allows passengers to spot hippos, elephants and lions. Stay tuned: we’ll be posting about what’s new in shore excursions very shortly. Have we missed something new beyond Europe? If so, why not leave a comment and let us know. Our readers appreciate your feedback, and we strive to be up-to-date and accurate. It could well be that the sound of creaking snow means nothing to you. To me it’s one of the most delightful of travel sounds: the squeaky, creaky noise produced when walking in boots along a path of relatively compact snow. (God knows, the Inuit probably have a word for it.) I was quite delighted when I read Memory to discover that Nabokov had a similar fondness for this sound when he recalled his childhood in Russia. I’m sure everyone has their own favourite travel sounds, and I’d be glad to hear them, so please add your comments below. So it mystifies me when I see passengers on river cruises with their earplugs in, listening to music on their iPods. Why would they cut themselves off from the foreignness of sounds? They wouldn’t wander about with blindfolds on, yet are quite prepared to deny themselves another of the five senses. Music, as everyone has experienced, can transport us instantly back to a certain time and place, demonstrating a remarkable connection between the ear and memory. Talking of Russia, the composer Stravinsky recalled the sounds of his youth in St Petersburg: the calls of street vendors, church bells, cartwheels on cobblestones and even that susurration of sound just before the curtain goes up in a theatre. 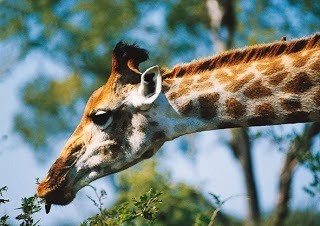 A giraffe munching on acacia leaves. Different people have different brains, of course: some are visual, some factual, some auditory. The English poet Alfred Tennyson obviously had a good ear. 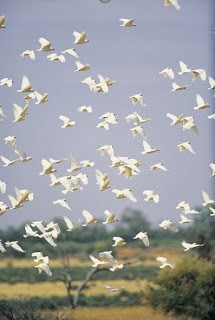 One of my favourite sound descriptions might be from a Tennyson poem: “The moan of doves in immemorial elms / And murmuring of innumerable bees”, which sounds like just the thing it describes. For ordinary travellers, it’s just about pinning back our ears and having a good listen. I’ll never forget the street cries of the ice-cream sellers in the towns along the Yangtze River in China: “Wa! Wa! Bingjilin!” Or the ding-ding and rattle of trams in cities from Vienna to Prague that seems so quinessentially central European. Or that ripping noise as giraffes yank acacia leaves from a tree with their big blue tongues, something I heard while in Botswana (where yes, you can do a river cruise). Another rather unusual river-cruise destination is the Murray in Australia – incidentally, the world’s second-longest navigable river after the Mississippi. Nothing is more wonderfully Australian to me than a screech of cockatoos against a blue country sky. Sounds are everywhere and just as culturally diverse – and as specific to a place – as sights or food or language. So when I’m on a river cruise or a shore excursion, my ears are always flapping in the breeze, waiting for the crunch of boots in snow. We’d love to hear what your favourite travel sounds are, so why not leave a comment and join the conversation? Scenic Tours isn’t only launching new ships and investing $10 million in overhauling existing ones in 2014, but is also unrolling three new itineraries this year. 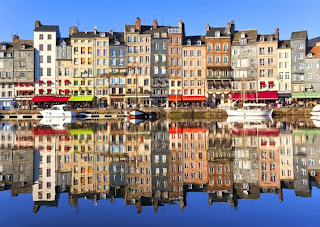 Gems of the Seine The Seine’s river-banks are lined by the landscapes familiar from impressionist paintings, as well as medieval towns and picturesque ports. 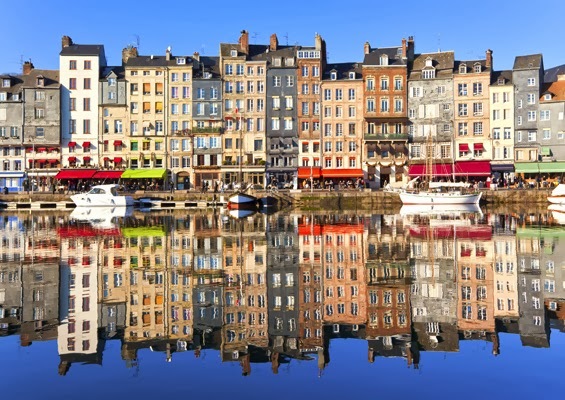 This new 11-day round trip cruise from Paris includes the port of Honfleur, Les Andelys, Rouen, Caudebec-en-Caux, Vernon and Conflans. Guests will visit the D-day beaches, Monet’s gardens at Giverny and the ruins of Richard the Lionheart’s château; and experience a Scenic Enrich event at the sixteenth-century Château-de-Champlâtreux. Treasures of Europe’s Waterways This 19-day river cruise from Budapest to Amsterdam extends the ‘Jewels of Europe’ river cruise. Guests visit the historic Slovakian capital, Bratislava and witness a traditional wedding presentation, and also visit Hoorn, Edam and Düsseldorf. 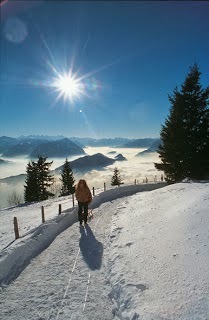 Experiences include discovering the Vienna Woods and the Seegrotte underground cave museum, and a guided hike to twelfth-century Wertheim Castle. 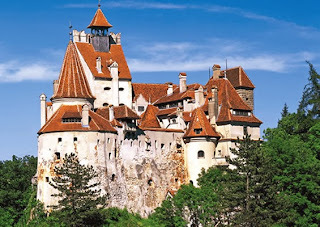 Bran Castle in Romania, once home to Count Dracula. Munich and Passau to the Danube Delta A 20-day cruise from Passau to the shores of the Black Sea, which includes Mile Zero, the point where the Danube empties into the Black Sea. It also passes through the passage of Saint George and the World Heritage-listed Danube Delta. It includes Belgrade, Pecs, Osijek, Arbanassi, Tulcea and Bucharest. Guests experience dinner with a Croatian family, and choices ranging from visiting the Dachau concentration camps to cycling through Osijek and discovering the home of Count Dracula. For more: Scenic Cruises (or Scenic Tours in Australia). 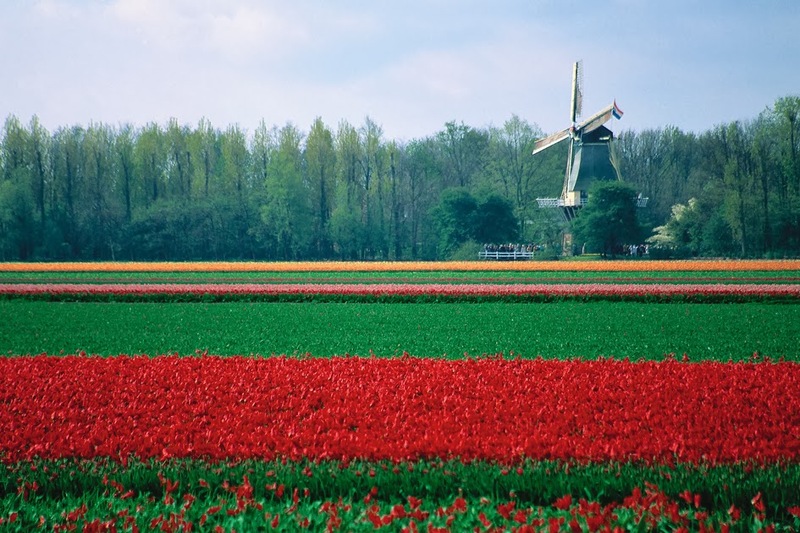 Have you been to these areas, or experience a Scenic cruise already? Why not leave your comments and impressions for other readers.